Vienna, c. 1912. 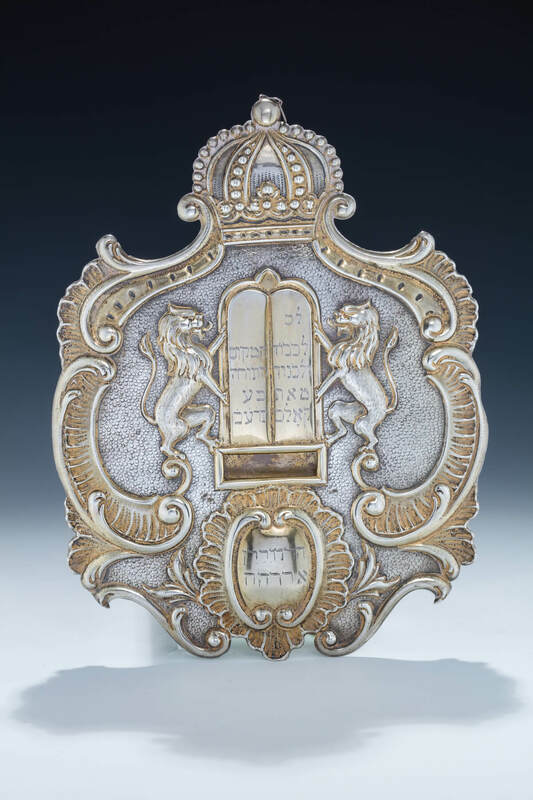 Embossed with two lions flanking an inscribed decalogue. Center cartouche engraved with dedication. 13” tall.